Conductive garments are commonly recommended to patients by many Neurologists, Orthopedic Surgeons, Physiotherapists, Podiatrists, Chiropractors, and other Physicians and Health Care Practitioners for use in the treatment and management of pain associated with many conditions. 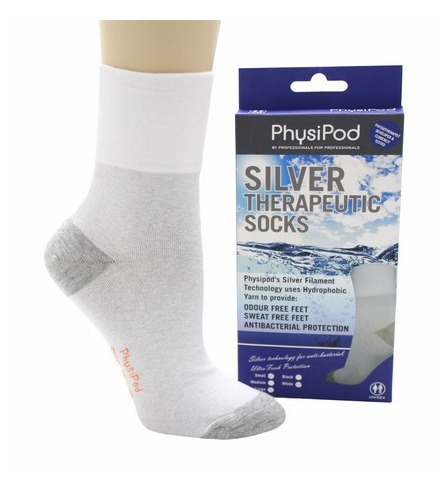 PhysiPod’s Silver Electrotherapy Socks are woven with a special silver filament to maximize both conductivity and comfort. 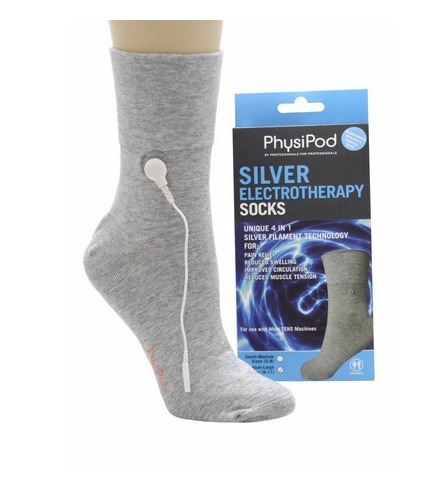 The silver nylon fibres ensure an even distribution of electrotherapy current throughout the whole area creating a therapeutic circuit with the sock. 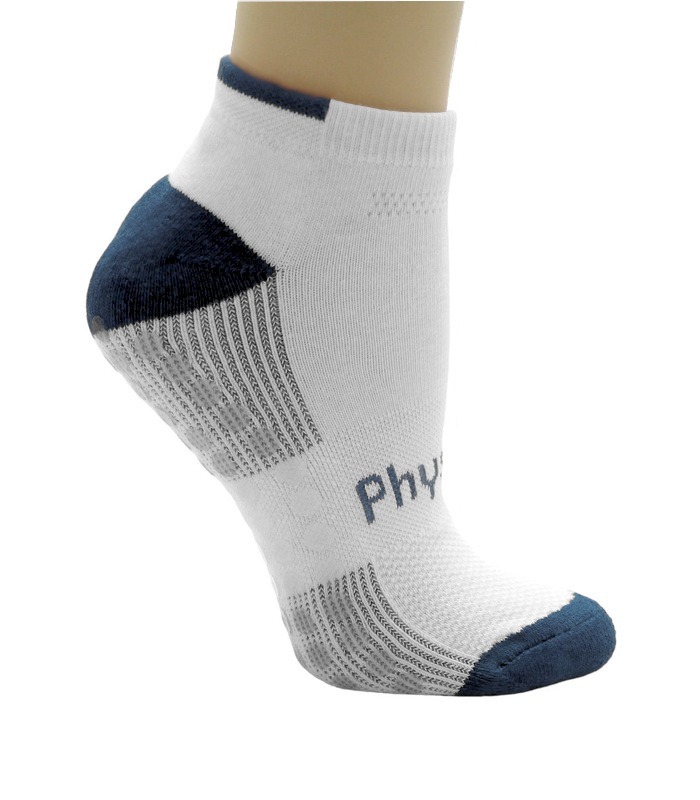 This allows for a full and even contact over the whole foot and ankle which cannot be replicated with electrodes. Thus making it comfortable and easy to use with the majority of TENS machines. It is the PERFECT accessory to go with any of the PhysiPod Electrical Stimulators- The TU2, (Dual Channel TENS and EMS); The TU4, (Quad Channel TENS & EMS); The MT8000, (Multi Modality Stimulator with TENS / INTERFERENTIAL THERAPY / MICROCURRENT / & EMS). 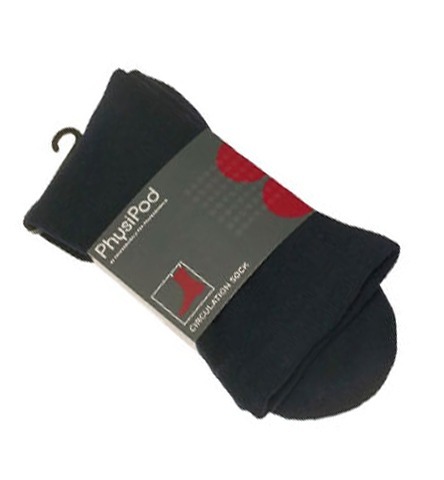 Sock Composition: 65% Cotton / 30% Silver / 5% Spandex. 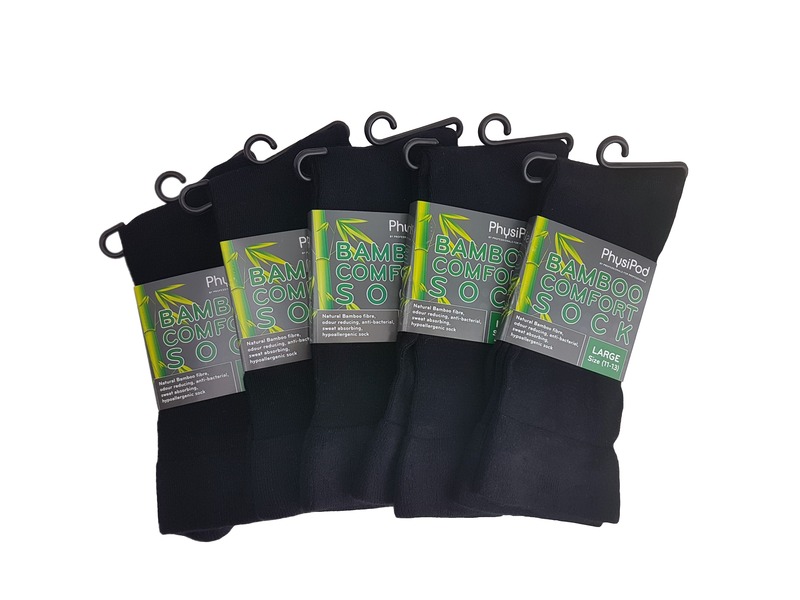 Please Note: The Silver Yarn is applied to the ENTIRE sock excluding the band at the top of the sock, not just to the toe and heel portion as you will find in many other Silver Socks available on the market. 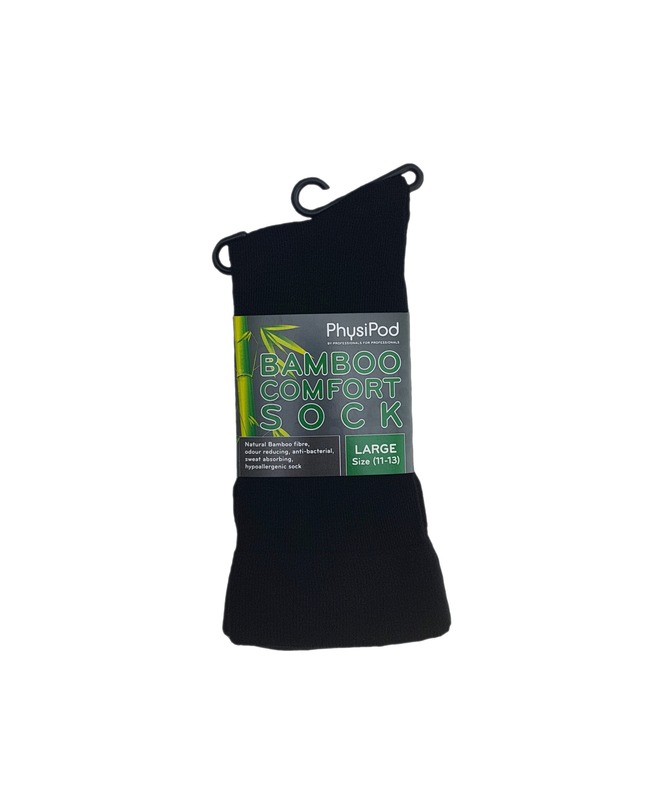 Your whole foot will be therapeutically cradled in comfort and wellbeing. • Pain Relief – acute/chronic/neuropathic/musculoskeletal/post surgical/post traumatic. • Muscle Stimulation-helps with relieving muscle spasm or tension. • Reduction of Oedema(swelling) and reduction of Inflammation. • Fibromyalgia and Trigger Point Intervention/ Softening of myofascial trigger points. • Increased rate of wound & fracture healing / tissue regeneration. 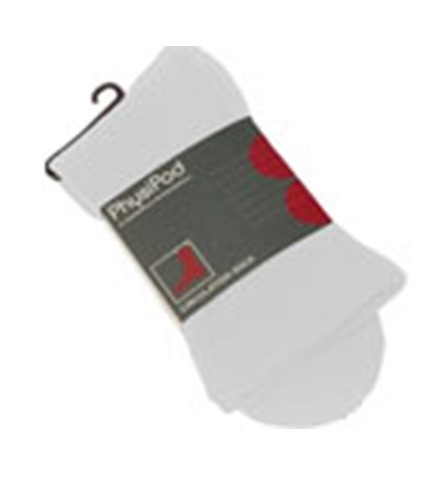 • Stimulation of circulation & lymphatic flow. • For swollen feet & ankles. • To condition and strengthen weak muscles.